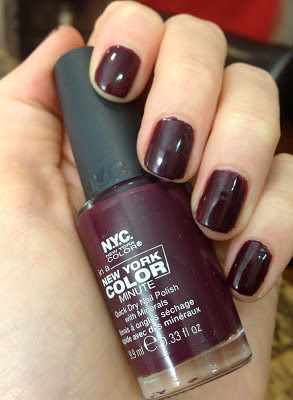 The nails I have been wearing recently for this fall is the color "Manhattan" by NYC ($1.99). It's a deep plum/burgundy color that is perfect for this fall and winter. 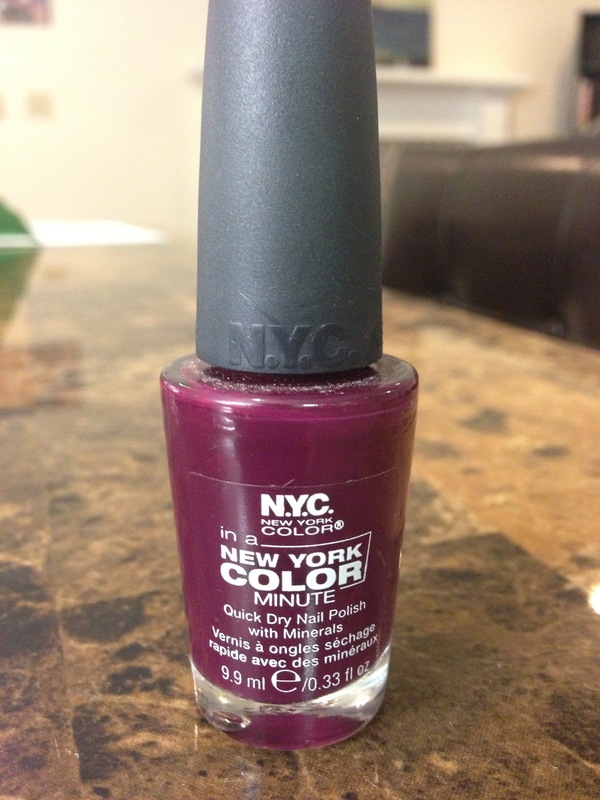 NYC claims that it has a quick-dry formula that dries "in less than 60 seconds"and contains minerals for your nails. While I would say that this nail polish definitely dries much faster than most other nail polishes that I have used, I wouldn't go as far as to say that it dries in 60 seconds flat. However, for the cheap price of this nail polish ($1.99) this product is amazing in quality, longevity, pigmentation and drying speed. Even just one coat of this nail polish is enough to look polished and finished. Two coats, as I have shown in the picture above, just deepens the color. The quality and richness of the color is really impressive and is reminiscent of a higher-end nail polish. Also, the longevity for such a cheap nail polish is amazing as I have found that it lasts up to 3 or 4 days without chipping like most of my middle-priced nail polishes. The size of the bottle (0.33 fl oz) is the perfect size to conveniently throw into your purse for a quick paint job on the go but is large enough so that you get a lot of bang for your buck. The brush applicator is really user friendly and makes the product really easy and simple to apply without creating a gloppy, sticky mess. The packaging of this nail polish is also pretty sleek for such a cheap brand and looks like a cute mini-version of the OPI nail polishes. Overall, for the great low price I think that this line of nail polishes is an absolute steal and I will definitely be buying more of these in different colors. 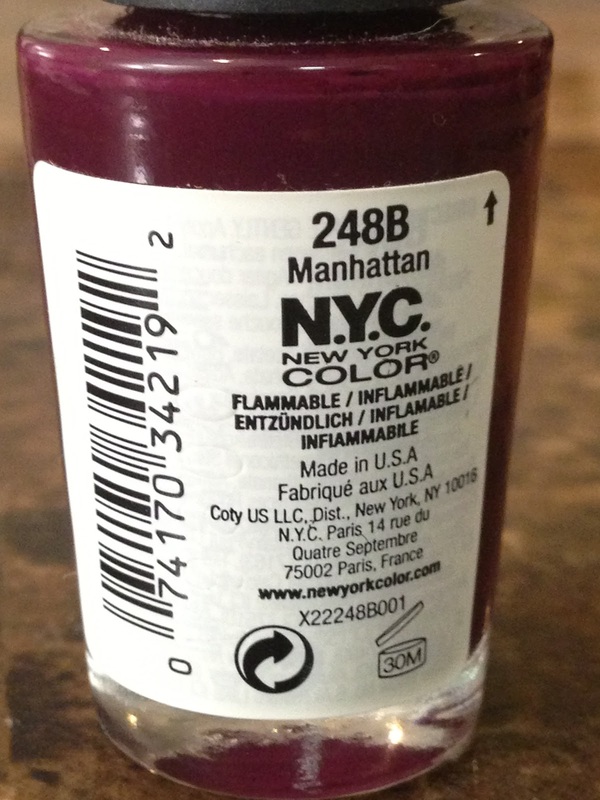 What is your favorite brand of cheap nail polishes?